She is a loving, adorable, sweet-tempered dog — a complete joy. We are having so much fun getting to know one another and going on walks and weekend outings together. GSROC did a good job of helping me match a compatible dog with my home environment. 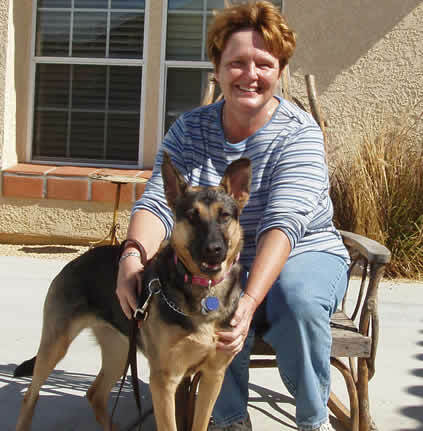 Tasia is just a terrific companion dog. We are both very happy.